You are currently browsing the tag archive for the ‘St. Germain’ tag. I grew up in a punch drinking family. Granted the stuff my family ladles out each Christmas is of the non-alcoholic variety—rainbow sherbert, gingerale, maybe some fruit and lots of ice. I had a glass yesterday, and even though many a boozy version have passed over these lips, this tame variety still says “party” to me. It is bubbly, colorful, and pretty tasty. And something about sharing a drink from a communal bowl seems especially appropriate for a holiday celebration, doesn’t it? What is it about a giant bowl of fruited and sugared booze? For me, there is something nostalgic, comfortable and epic about it. Maybe it’s because as long as I can remember a punch bowl meant our special Christmas libation? Or because people have been enjoying this kind of communal drink since the 17th century? Or maybe it’s the seemingly endless variations of recipes—ranging from the very simple 2-3 ingredient variety to recipes with 10-15 ingredients? Punch changed the way we drink. Its origins probably lie with 17th century sailors who had run out of beer or wine and were left with only brandy or some other spirit that was too much to drink on its own. To their booze they added some sugar, maybe a little water and some citrus (which had the added bonus of protecting against scurvy) and punch was born. The popularity of these mixtures catapulted distilled spirits out of the realm of medicine and into the public drinking consciousness, eventually opening the door for those other alcoholic mixtures we call cocktails. 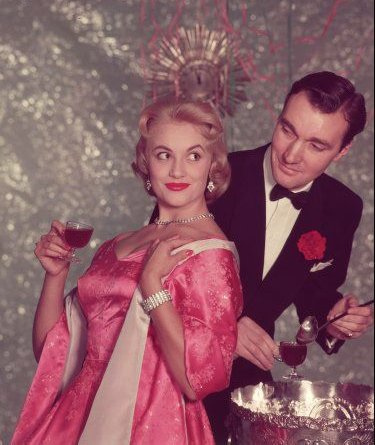 So, yes, punch changed the way we drink. If you want to learn more about the history of punch read David Wondrich’s new book Punch: The Delights (and Dangers) of the Flowing Bowl. Since the book’s launch party at Drink about a month ago, I have joined the ranks of punch loving Bostonians. Check out this book for a fascinating and entertaining history of punch; and my friends at Dudekicker share a great interview with Wondrich. So with the punch craze is in full start-up mode, I, of course, made a punch for my own holiday party last weekend (which was a pretty fun party, if I do say so myself). I know I am about the 1,00,000th person to give this sage party hosting advice, but one of the best things about serving punch is that you are then free to actually enjoy your party, instead of spending the evening mixing something for each guest. The most you have to do is lift the ladle or replenish ingredients. I chose a recipe for Harvest Punch shared by The Boston Shaker. It was a huge hit! With easy, yet interesting, flavors like rye, St. Germain, apple cider and ginger beer it pleased the variety of palates at the party, cocktail enthusiast and neophyte alike. 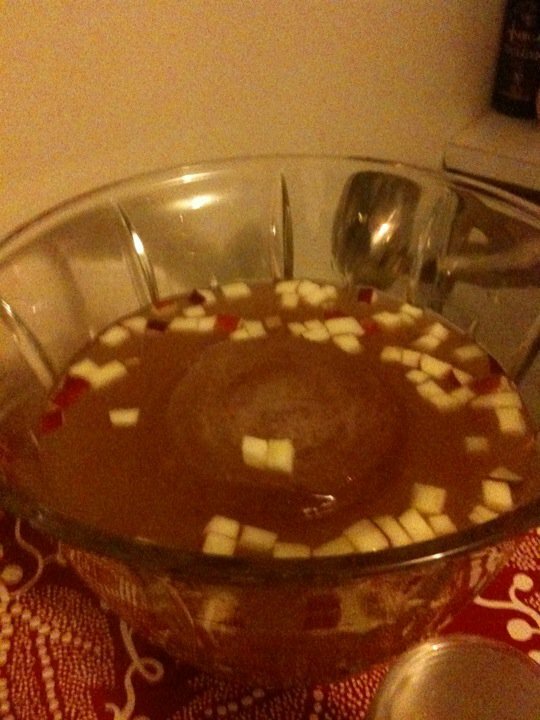 Mix in a large punch bowl over an ice ring or large block of ice (I made one using a tupperware container). Garnish with diced apples. The ingredients may change, but the essence of punch remains—making merry with delicious spirits in the company of friends and loved ones. Now that’s something to be grateful for this Christmas season. Cheers! 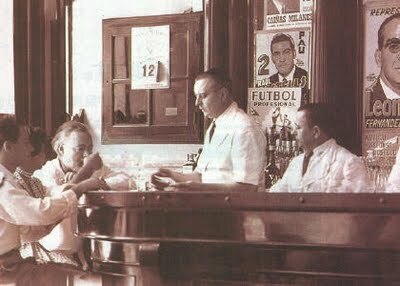 Comfortably seated at Craigie’s crowded bar (this is one popular place! ), Holly and I enjoyed a Northern Lights while we waited for Maura to join us. This drink is SO good! With scotch, St. Germain, lemon and tiki bitters this cocktail has a wonderful range of flavors, like the beautiful spectrum of colors of the meteorological phenomenon of the same name. The smoky, sweet, and tart flavors are enhanced with house-made tiki bitters which feature ginger, orange essence and baking spices. 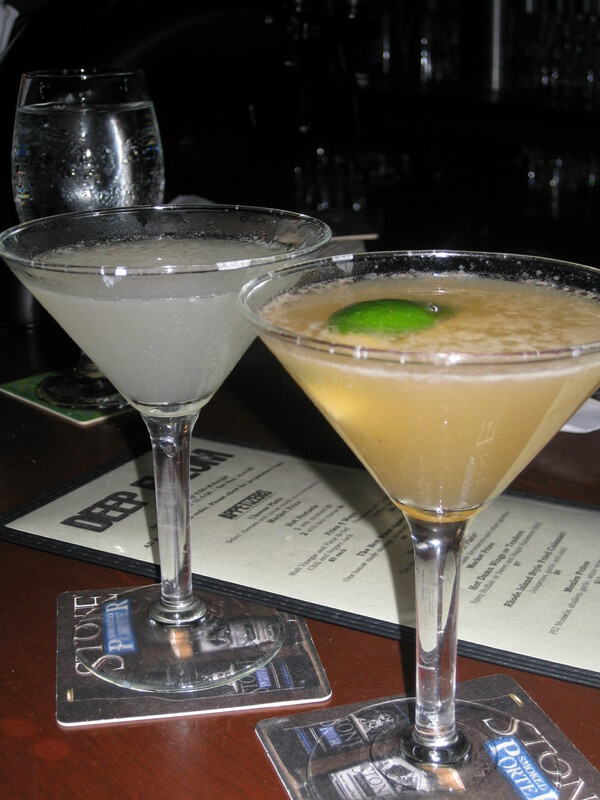 One of the things that Holly and I liked best about this drink was the subtly of the St. Germain. Now, I totally love the elderflower liqueur, but it often takes over a drink. Here, however, the scotch holds it at bay and the St. Germain just adds a delicate bright sweetness. A drink that stands up to the legends of ancient mythology– complex, magical, and pleasing. Maura soon joined us and we moved onto the Cocktail Whim. This was my 3rd adventure in this cocktail tasting and I love the concept more and more each time. 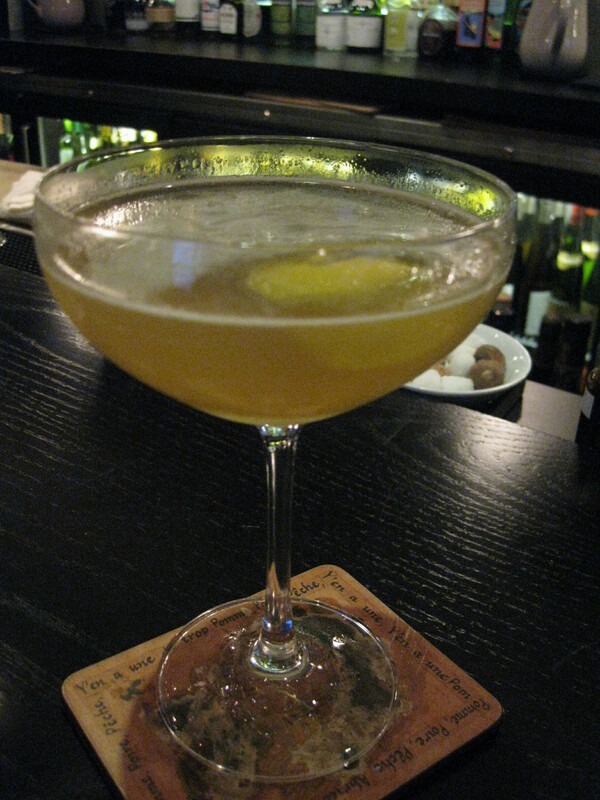 Once again, Carrie served up four great drinks– three of which featured Benedictine, one of my favorite liqueurs. We started with a Belle du Jour—brandy, Benedictine, house-made grenadine topped with Champagne. 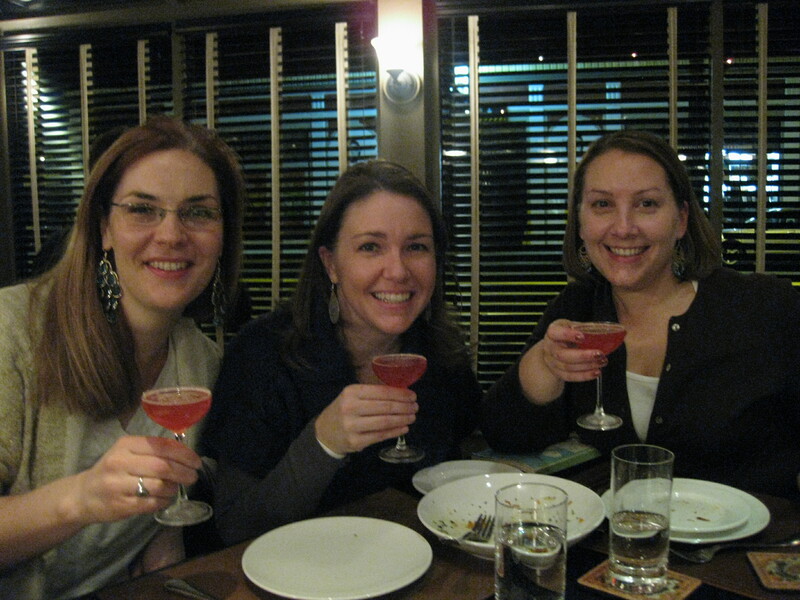 Maura, Holly and I enjoying our Belle du Jour-- Look at that gorgeous color! 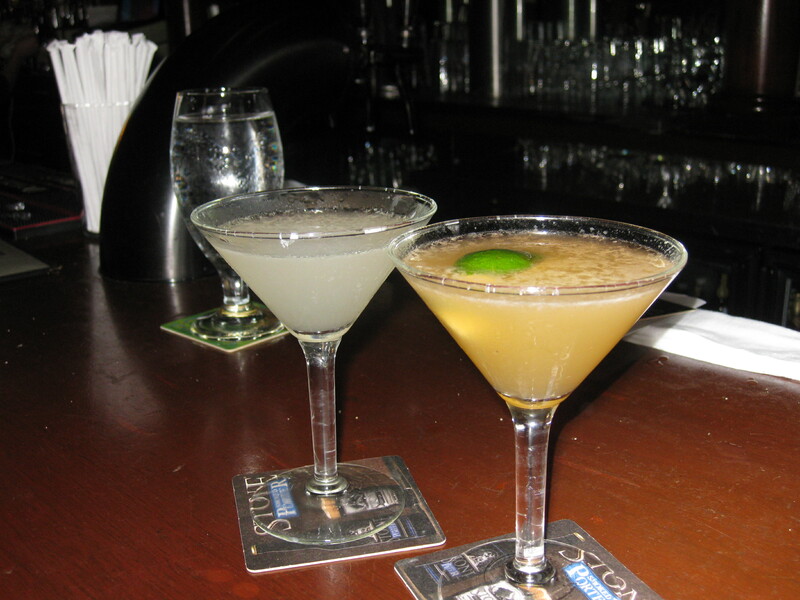 Our second drink was a classic daiquiri— rum, lime juice, and simple syrup. Deliciously simple. Simply delicious. Next, we sipped on a Vieux Carre—rye, brandy, sweet vermouth, Benedictine, Angostura and Peychaud’s. The rich, complexity of this drink paired nicely with our delicious burgers. Our final drink, a Colleen Bawn—a flip made with brandy, Benedictine and yellow Chartreuse (and an egg, of course)– was a nice herbally ending to our tasting. Then as an extra treat, Carrie let us sample a drink she’s working on for next Sunday’s event at Green Street. All I’ll say is that it’s heavy on the smoky mezcal and leave the rest for next Sunday. Tonight Molly and I stopped by the newly open Boston Shaker for a little shopping and a St. Germain cocktail. This store is just fabulous– you can find tons of bitters, all sorts of cocktail equipment (think juicers, strainers, muddlers), and yum things like Luxardo maraschino cherries. And owner Adam Lantheaume also has a great selection of books (I picked up The Fine Art of Mixing Drinks by David Embury) that are a cocktail nerd’s dream. Can you see why I love for this place? While perusing the library, we enjoyed a classic St. Germain cocktail: the delicious artisnal liqueur and proseco on the rocks with a lemon twist. 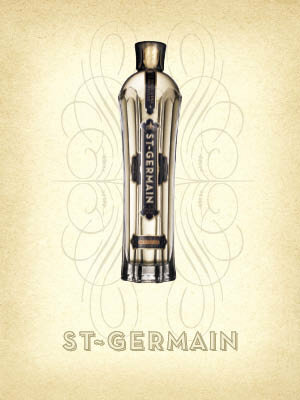 I love St. Germain– so much so that a couple summers ago was dubbed “the summer of St. Germain.” Made from handpicked wild elderflower blossoms that have a short 2-3 week bloom in the foothills of the Alps, this stuff has a flavor that’s hard to describe. Its enigmatic, yet familiar. Its sweet with hints of lemon, grapefruit, melon, and maybe a little pear too. It is just so delicious! And its so versatile. Drink it simply with sparkling water and lemon, or in any number of your favorite cocktails like a French 75, a mojito, or a daiquiri, or just on the rocks with an orange twist. It is so good one friend said he thinks it would even make gasoline taste good. While that may be a slight exaggeration, it might also be kind of true. St. Germain is pretty damn good. This artisanal liqueur is made from handpicked wild elderflower blossoms that have a short 2-3 week bloom in the foothills of the Alps.